Ten F-35s flew from their training site at Luke Air Force Base, Arizona, for two weeks this month in the first test of how the jets, pilots and maintainers could move and operate from a new base. This first training “deployment” tested half of Luke’s fleet at Nellis Air Force Base, Nevada, from April 4-18. The move comes more than a year before the Air Force is scheduled to reach its initial operating capability, in which it needs to be able to have 12 or more aircraft and airmen in a squadron ready to deploy. 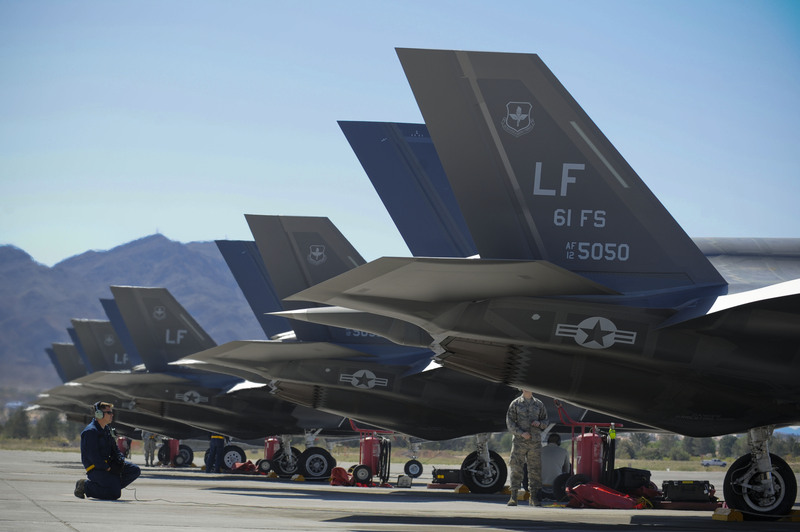 The deployment marked the first time the Air Force part of the F-35 program had moved a large amount of jets and set up operations at another location, Lt. Col. Michael Ebner, commander of the 61st Fighter Squadron, said in the release. At Nellis, the F-35 flew with other jets such as F-16s and F-22s.